The U.S. government is investigating more than 100 complaints of poor brake performance on 2.7 million General Motors big pickups and SUVs. The National Highway Traffic Safety Administration says a brake vacuum pump can deteriorate, causing increased braking effort and longer stopping distances. The agency has 111 consumer complaints including nine crashes and two injuries. The investigation covers 2014 through 2016 Chevrolet Silverado and GMC Sierra pickups. Also involved are Chevrolet Suburban and Tahoe, the GMC Yukon and Cadillac Escalade SUVs. The agency will determine how often the problem happens and whether a recall is necessary. 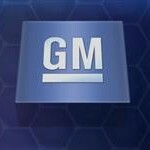 Messages were left Friday seeking comment from GM.